What You Need to Know About Motivating Employees without Breaking the Bank - JPS, Inc. 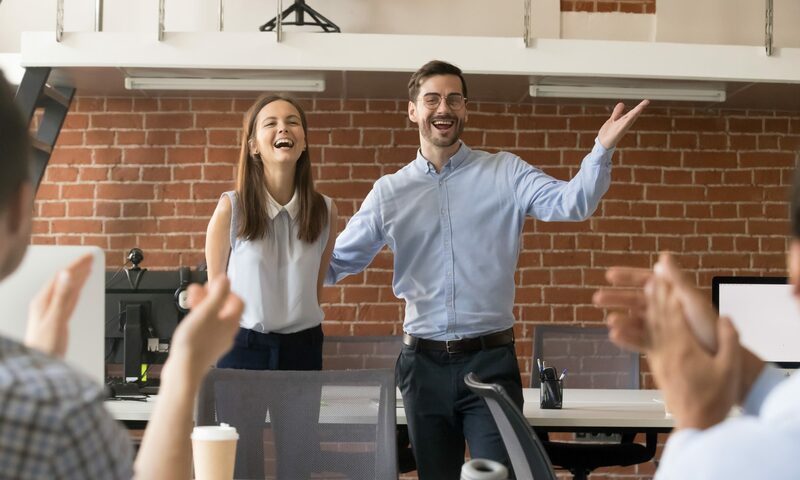 Motivating employees can seem like a challenge when you want to buy something for staff, whether it be a fun experience or lunch. However, even with just a handful of team members, things add up. How can managers motivate employees without emptying the budget? Keep reading to find out. In a break room or common space, create a recognition board to shine a light on outstanding work. Did someone complete a tough project or land a new client? Put it on the board. Employers can also open the board up for employees to recognize each other. Motivating employees can also come from customer comments. If a customer or client calls the employer to tell them how fantastic someone was at the company was, share the news! It’s always nice to hear positive feedback and hard work deserves recognition. All Business reports that businesses who allow employees to telecommute see a rise in motivation and productivity. If that isn’t possible for your company, consider offering an extra hour of paid time off for quality work. This is another way motivating employees doesn’t have to cost a dime. If possible, join in on a project and work together with employees. This will allow management to see how daily tasks operate and if they have the ability to improve anything since they’re doing tasks as well. Motivating employees is so important to a healthy and productive workplace. If management can keep staff connected and involved with the work, the work can only get better. How do you motive your employees?